Pinnacle Media Ltd. is the leading publishing house in the Cayman Islands. Its portfolio of publications includes the daily Cayman Compass newspaper, a number of annual supplements, magazines and special publications. Magazine titles comprise of Grand Cayman Magazine, InsideOut, Flava, Key to Cayman and What’s Hot. Pinnacle Media also publishes the quarterly Cayman Financial Review, the monthly Cayman Islands Journal and the annual Cayman Health Directory. Additionally, the commercial printing division, Precision Print, offers superior-quality on-island printing services. Pinnacle Media Ltd. has integrated print and digital media to create the most dynamic, essential and authoritative health and wellness information for all Cayman Islands residents and visitors: Cayman Health Directory and Cayman Health Website. 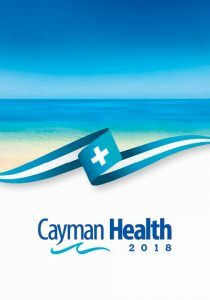 Cayman Health Directory is an annual print directory of health and wellness professionals, specialists, services and facilities serving the Cayman Islands. It provides authoritative health and wellness information on health and wellness matters globally, regionally and locally. It includes articles, profiles, Q & A’s with expert practitioners and an Emergency Guide created in consultation with Cayman’s leading emergency care professionals. Cayman Health Directory is available free at newsstands, or can be picked up at The Compass Centre, 319 Shedden Road in George Town, Grand Cayman. 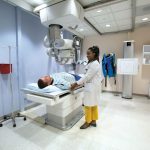 Cayman Health Website is a dynamic and comprehensive online presence of the Cayman Health Directory. 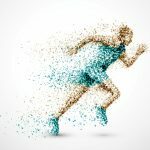 The website has a powerful search engine to quickly locate healthcare specialists, facilities, services and supplies, as well as spas, fitness and wellness centers. Cayman Health App debuted in 2017 and is available free for mobile users. This increases accessibility to the same information found on the website, but in a convenient and user-friendly format. Click on the links below to download, or view app details. iTunes, App Store, iOS, and Apple are trademarks of Apple, Inc.